$2,542 a week without losing a single dollar of your own in the market. This program is designed to take you from a beginner trader to a professional trader in as little as 30 minutes a day. 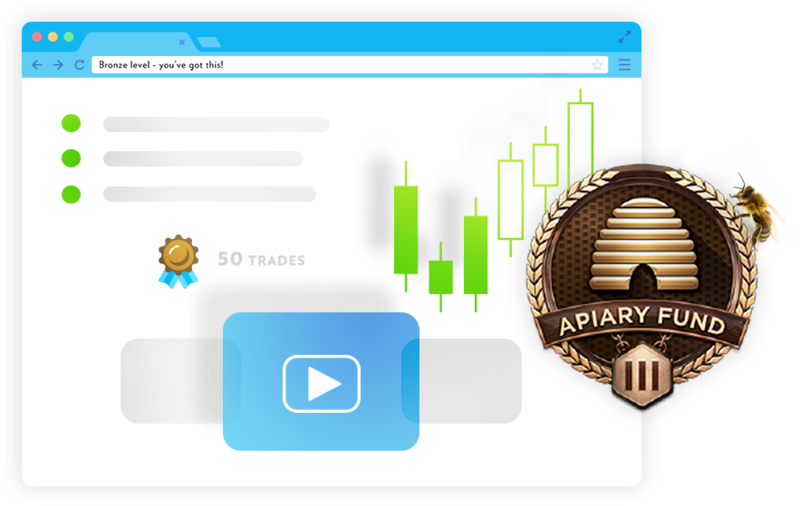 In this program, you’ll earn points by watching training videos and by placing trades, because practice makes profit. As you gain experience points, you’ll rise through the ranks from Copper, to Bronze, to Silver, and finally Gold! 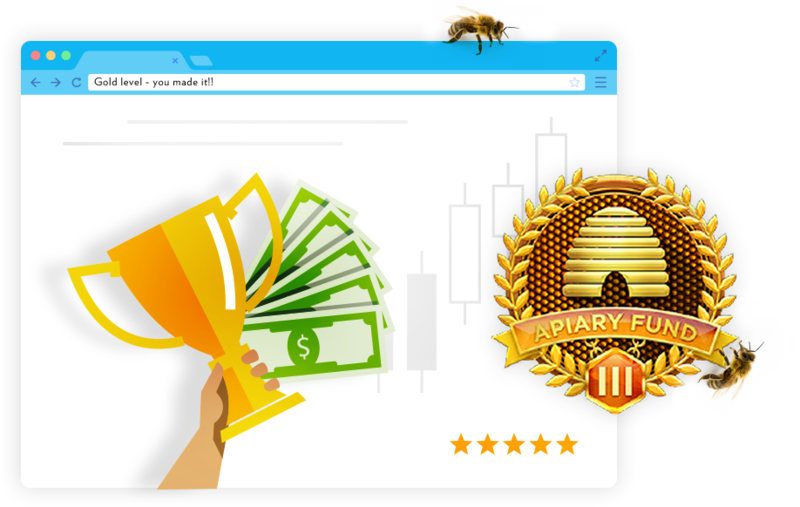 When you finish Gold, you’ll be given your very own Apiary Fund trading account so you can trade for profits with our money! Copper is the starting level for new members. You’ll do things like take the New Trader Orientation, download the Alveo Platform, place your first trade, introduce yourself to the community, watch 10 forex basics videos, pass a quiz, and win 2 trades in a row. 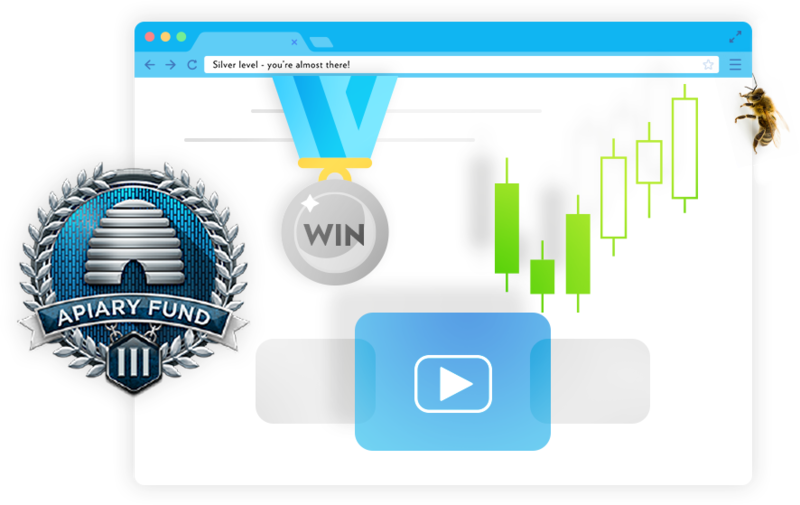 After advancing to Bronze, you’ll watch a new series of training videos on advanced concepts such as “The Benjamin Formula” and “Lots and Leverage.” You’ll place 50 trades, trade new currencies, pass a money management quiz, and win 5 trades in a row. At Silver, you’ll view expert level training videos on complex technical topics and trading psychology. More importantly, you’ll begin to get your rhythm as a forex trader, average more wins than losses, and potentially win 10 trades in a row, using stop losses, and making pips on open trades. 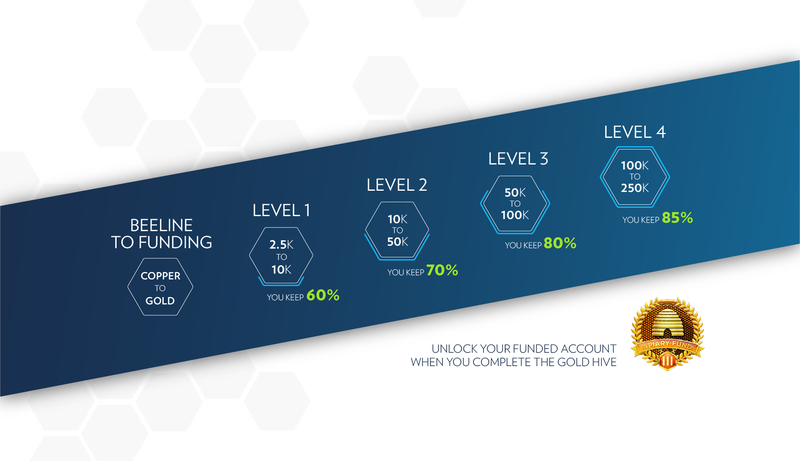 Gold is the final level of the Beeline to Funding, and after completion, your account will be funded. In Gold, you’ll have higher goals to achieve, such as placing 100 trades and not losing more than 2% on any of them. The best part? You are FULLY Funded by Apiary Fund! Are you ready to devote one hour per day to create an additional income stream?